Buying Papé equipment means getting the support you need. From ongoing forklift maintenance to tire repair or replacement, Papé provides various warehouse services to keep your fleet in top condition. Safety is the most important priority on the warehouse floor. Papé provides a multitude of safety products and training tips to keep your employees safe. Choose Papé for your every safety need. 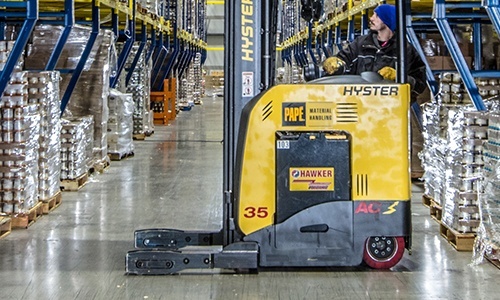 Create a safe workplace with Papé safety products, from LED spot lights to Hyster Tracker systems. Learn more about what Papé has to offer. 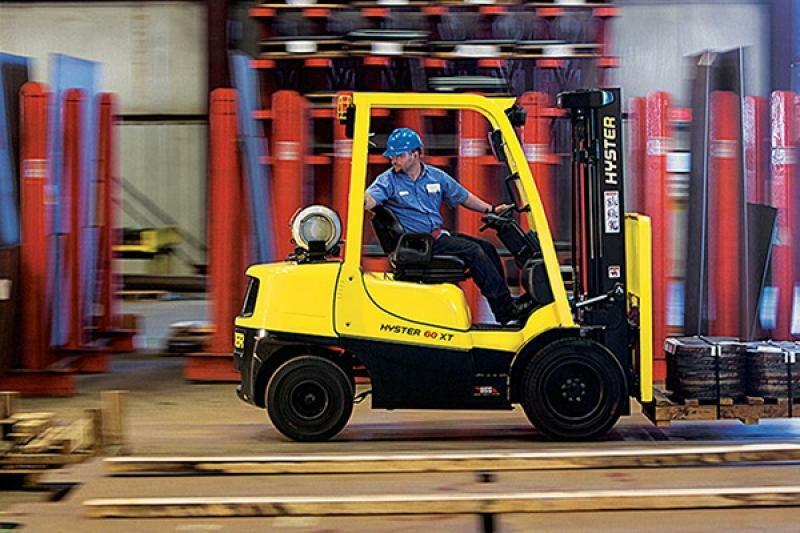 Take the next step in improving your company’s fleet management with the Hyster Tracker system. Learn your total cost of operation, how to increase productivity, and more to ensure your fleet is running efficiently. It’s vital to continually check your aerial and boom lifts to see if they are running properly. Schedule an inspection to guarantee your lift fleet is up to code. 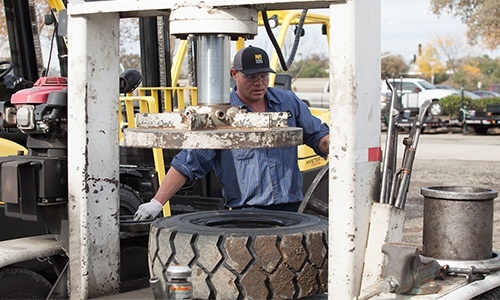 Worn-down chains, forks, and tires can compromise the safety of the forklift operator. Contact one of Papé’s qualified representatives to conduct a thorough inspection of your forklift fleet. Equipped with a preparatory training course and NCCCO written and practical national certification exams, the Crane Operator National Certification program is essential for any operator training program. 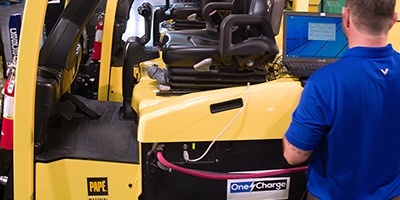 With ongoing, periodic maintenance and factory-certified service technicians, a Papé service package is a must have for any fleet management program. Papé offers a variety of service packages, like our recommended Gold Plan, to keep your fleet running properly and efficiently. Learn more about our packages and which one is right for you. The standard Gold plan has you covered while saving your company money. Learn if investing in Gold is right for you. 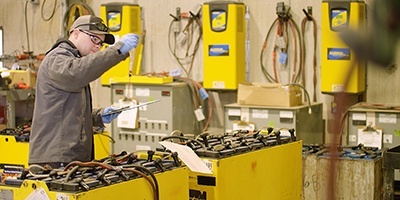 Our 50-Point Periodic Maintenance Inspection keeps your machinery running smoothly. See which level of service you need. An industrial tire is used on industrial equipment or off-road vehicles. Industrial tires for forklift applications include rubber press-ons, polyurethane press-ons, rubber pneumatic shaped solids (resilient), bias ply pneumatics, and radial pneumatics. Press-on industrial tires are found on Class I, II, and IV lift trucks, and pneumatics and pneumatic-shaped solids are found on Class V lift trucks. Find the right Load Wheel in our broad offering to reduce heat build-up caused by high speeds, long runs, and heavy loads; Our load wheels are site proven to eliminate bond failures, improve truck productivity, reduce maintenance labor, and lessen overall wheel and bearing expense.